University attendance is in Germany free of charge for exchange students who are applied within the frame of an university cooperation for 1-2 semesters.. 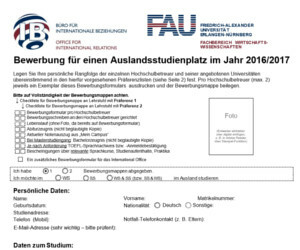 However, administrative charges of 42 EUR and a transportation fee of 70 EUR are to be paid each semester when enrolling („Studentenwerksbeitrag“, „Basisticket“). The use of all institutions and examinations are still free. For some language courses fees may be charged depending on the course the student is doing (holiday intensive courses, …).